Bigtree Entertainment Pvt. Ltd, which owns and operates online ticketing platform BookMyShow, has joined Grab Ventures Velocity, an accelerator programme launched by Singapore’s GrabTaxi Holdings Pvt. Ltd, a company statement said. 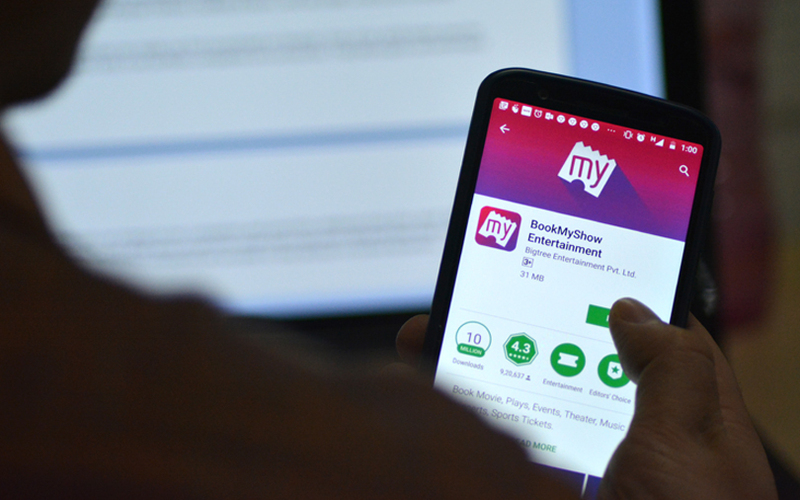 BookMyShow aims to expand its growth in Southeast Asia, including Indonesia, by participating in the 16-week programme, which was launched in June this year, the statement added. The programme helps participating companies scale up faster by providing access to assets, resources, capabilities and networks of Grab and its partners. During the programme, BookMyShow’s entertainment offerings will be featured within the feed on the Grab homepage, allowing users to browse and book services directly from the Grab application. “Grab is an integral part of almost everyone’s daily lives in the entire SE Asian region and they bring with them extensive market expertise which will be instrumental as we look to accelerate our growth plans in Indonesia and the region,” Karan Khetan, co-founder, BookMyShow Indonesia, said in the statement. The company recently raised $100 million (around Rs 680 crore) in a Series D round of funding led by private equity firm TPG Growth in July this year. Founded in 1999 by Ashish Hemrajani, Parikshit Dar and Rajesh Balpande, Bigtree Entertainment initially assisted theatres with inventory management and then transitioned to ticket-booking capabilities online. BookMyShow was launched in 2007 and is present across more than 650 towns and cities in India. The company offers tickets for movies, plays, sports and live events on its website and mobile app. Besides India, BookMyShow is also present in Sri Lanka and Indonesia, which it ventured into in mid-2016. It has also been strengthening its presence through acquisitions in a space where Alibaba-backed Paytm is making ambitious bets. In August 2017, it bought video-on-demand platform Nfusion for an undisclosed amount in an all-cash deal. The acquisition helped BookMyShow foray into audio entertainment. It also acquired Network18-owned restaurant-discovery platform Burrp in July last year. In January this year, Grab acquired Bengaluru-based payments startup iKaaz to help expand its digital payments platform GrabPay. Grab has also formed a global alliance with Didi Chuxing of China, Lyft of US and India-based Ola against San Francisco-based rival Uber. Last year in November, the company also appointed Vikas Agrawal as the chief technology officer for GrabPay.